SQL Transformations takes the input in the variety of SQL queries or SQL scripts that you create in the SQL editor and process the query and returns rows and database errors. It’s basically an Active transformation that you can organize as passive also. For Eg: We may have a scenario where we need to create database tables in a workflow. Here we can make use of SQL Transformation and create these tables before we move into the next flow. Script Mode: We pass the name of script as an Input to the transformation in this mode. Query Mode: We pass a Query having variables or parameters in this mode. Database Types: The type of database that we are connecting and the type of database connection that we use like FTP or any other. Script mode: As mentioned above we pass the script name as input to the transformation. And it returns the output rows are errors. Input port: It has the scripts name from the previous level. Output Port: Proceeds PASSED if the script execution succeeds for the row otherwise contains FAILED. Query Mode: When a SQL transformation runs in query mode, it executes a SQL query that you define in the transformation. This creates an active transformation and it returns multiple rows and the SQL Editor validates the query. Static SQL Query: The Query statement does not change, but you can use query parameters to change the data. The Integration Service prepares the query once and runs the query for all input rows. 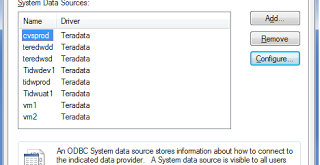 Dynamic SQL Query: You can change the Query statements and the data. The Integration Service prepares a query for each input row. Ports: Displays the transformation ports and attributes that you create on the SQL Ports tab. Properties: SQL transformation general properties. 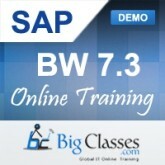 BigClasses is one of the best online training organizations offer Informatica training. We have qualified and experienced faculties who are responsible for taking the online sessions. We provide study materials and 24 hours support to our national and international learners as well. 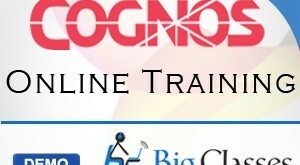 If you are interested in Informatica online training, contact us for the detailed course and the free demo classes.